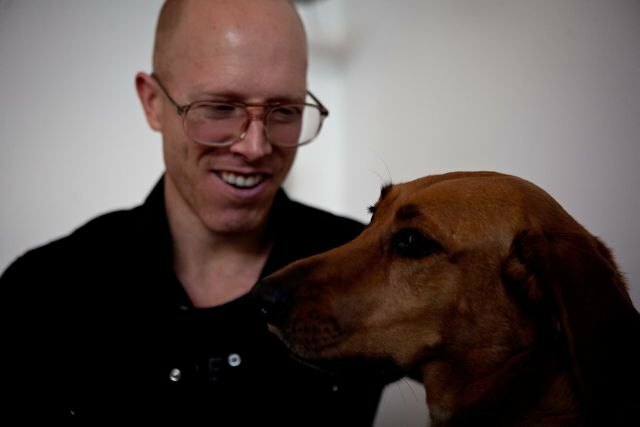 Bushwick Daily chatted recently with Jason Andrew, a Bushwick resident, curator, and everlasting art enthusiast. Jason runs the Storefront gallery, and curates a number of art, dance and literary events; he also works on his home-based gallery and maintains a daily gallery job. We talked about beginnings of Norte Maar, Storefront gallery, and Beat Nite. Tell us about the current exhibition in Storefront. Right now we're showing Mary Judge. This is her first show in New York in two years, and her first show since she moved to Bushwick. She lives around the corner. In the back room we have a show called Wavelength, featuring three artists: Judith Braun, Maureen McQuillan and Susanna Starr. The newest project, which I am really excited about, was started by my gallery manager, Kate Wadkins, and it's called Brain Waves, the zine department. I’ve always been a big collector of handmade artist's zines. We will hopefully have a party every month celebrating a new zine. It will probably take over the monthly literary readings we used to have. I like the idea of giving zines a larger presence in the gallery. I’m really curious here. How did it all begin? How did Norte Maar get started? I bought a house in upstate New York, and there isn't a lot of art. As a New Yorker for almost 18 years before I moved, I wanted to bring art there, so I started a non-profit called Norte Maar. I organized a major ballet there with Julia Gleich, my collaborator and a co-founder of Norte Maar. We rented an ice-skating rink and converted it into a ballet theatre and invited a lot of friends. I moved back to the city when I got a job in a gallery as the manager and curator of Jack Tworkov. I came to Bushwick looking for affordable housing, like all of us (he is laughing). That was late 2006. I walked into this apartment, where we’re sitting right now, and I thought immediately that this beautiful room works really well as a gallery, especially because of its proximity to the street and because of its natural light. So I started doing salon projects here: I would invite a group of artists, we would hang art and have a dinner party. 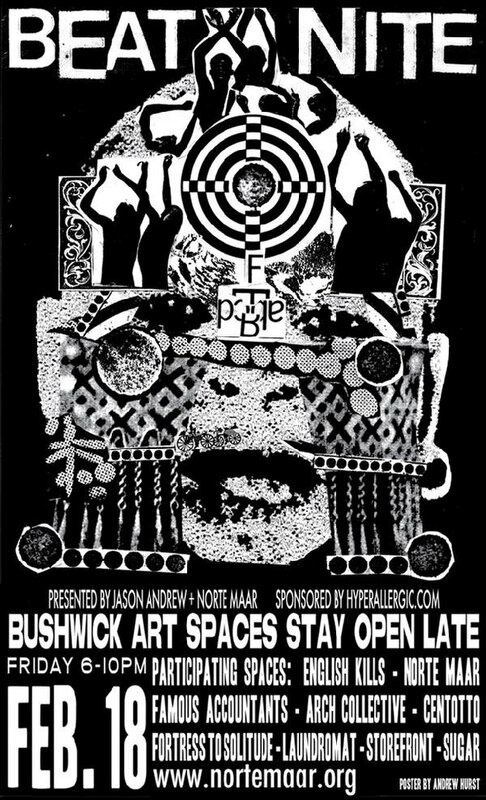 Later Norte Maar started to partner with Arts in Bushwick, which produces the Bushwick Open Studios event. I mounted a show for that featuring three artists: Rico Gatson, Andrew Hurst and Amanda Trager. Through Arts in Bushwick, I became even more involved in sponsoring projects in Bushwick. There were a lot of pop-up spaces and home galleries like Norte Maar, and Bushwick doesn’t really have a regular scene or a gallery stroll. So I started Beat Nite, which helps raise the visibility of Bushwick's galleries. (The next one is February 18). There is no separation between me and what I do, my projects, and promoting artists. We started to do ballets here and other modern dance projects, where I had some performing artists work in this space and everything was projected into the street. There were speakers, and people would walk by and watch their performance. So how did Storefront come into play? One of the artists I really wanted to show was Deborah Brown. She was working on a series of paintings called Bushwick Paintings and in this space I can only hang two or three paintings. And her paintings were pretty large, so we started to look around for a space that I could rent for a month. Deborah found the Storefront space and thought it would be a really great space to open a gallery. But it’s one thing to have an apartment gallery where you don’t have to go to work and pay rent. At that point I had never really thought about opening my own gallery. It seemed like it was impossible, but I decided to go with Deborah, and we opened Storefront. And we just celebrated our first year!